If you get confused when shopping for a new air conditioner, heat pump or furnace for your Tarpon Springs, Florida, home, you aren’t alone. If you don’t know what they mean, the many four-letter ratings that you’ll find on all HVAC components often seem like another language. Fortunately, there’s a simple explanation for each of the key HVAC ratings. Learn about four HVAC ratings you should know and find out how they can steer you toward the right HVAC system. As a Floridian, you’ll want to learn about the SEER rating first, since you’ll find this number on air conditioners and heat pumps. This number reflects the amount of heat that the system can remove from your home over the course of the cooling season, divided by the amount of energy the system requires. In short, it reflects how efficient a cooling system can be. The higher the SEER rating, the more efficiently the unit operates. To receive Energy Star certification, which means the cooling system meets or exceeds federal efficiency standards, it has to have a SEER rating of at least 15. For example, a Trane XV18 TruComfort variable-speed air conditioner has a SEER rating of up to 18, making it one of the most efficient air conditioners that we at Advanced Cooling Systems install. The heating season might be relatively short in Florida, but you still want to make sure the heating system you purchase is as efficient as possible. If you’re shopping for a heat pump, you’ll find that it has both a SEER rating for its cooling efficiency and an HSPF rating for its heating efficiency. Like a SEER rating, a higher HSPF rating indicates better efficiency. To receive Energy Star certification, a heat pump needs an HSPF rating of at least 8.5, though higher is better. 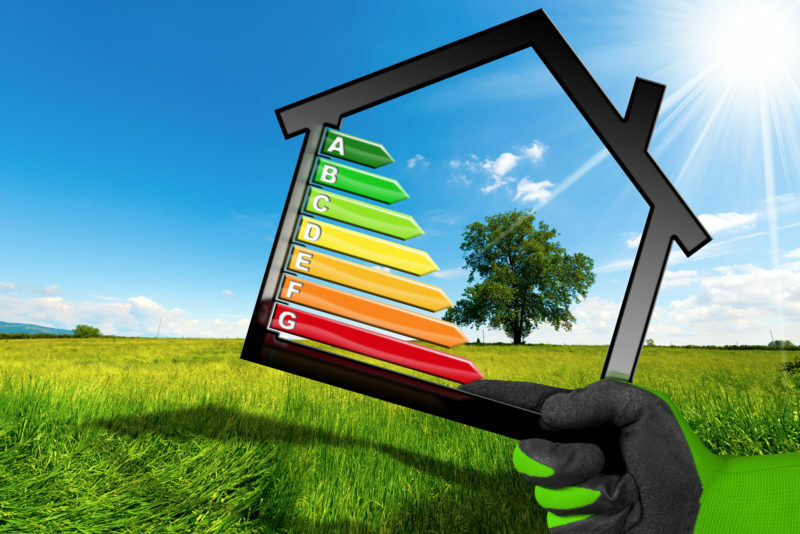 Of course, since heat pumps can heat and cool, they must meet Energy Star requirements for both types of ratings before receiving certification. A Trane TruComfort XV20i variable-speed heat pump boasts ratings up to 10 HSPF and 20 SEER, making it incredibly efficient and a great choice for Tarpon Springs homeowners. Since gas and oil furnaces rely on such different types of fuel, these heating systems have their own mark of efficiency, known as an AFUE rating. This number indicates how efficiently the furnace uses the gas or oil that powers it. To receive Energy Star certification, gas furnaces in Florida homes must have a rating of at least 90 percent AFUE. In colder climates, the requirements are stricter, and gas furnaces must have a rating of at least 95 percent AFUE. All furnaces should have a high-efficiency fan motor to distribute heat effectively, too. Our team often recommends the Trane S9X2 gas furnace, which has a very efficient 95 percent AFUE rating and two-stage gas heat for more consistent temperatures and improved comfort. You won’t find MERV ratings on air conditioners, heat pumps, or furnaces. You will, however, spot them on the air filters that protect all of the HVAC components in your home. Since you’ll need to replace the HVAC filter every 30 to 90 days to ensure optimal performance, this is an important rating to know. MERV ratings range from 1 to 20. The higher the rating, the more efficient the filter will be at trapping dust, pollen, pet dander, volatile organic compounds (VOCs), and other particles that circulate through your home’s air supply. Ideally, you’ll want to choose the highest possible MERV rating for your HVAC filter, but note that filters with the highest ratings are designed for HVAC systems in industrial settings. Unless your home’s HVAC system is made for a hospital or a radioactive material processing center, choose an air filter with a MERV rating of 12 for maximum efficiency. Ready to put your newfound knowledge to work and find the ideal HVAC system for your home? Call the Advanced Cooling Systems team at 866-827-7662 for all your heating and cooling needs.